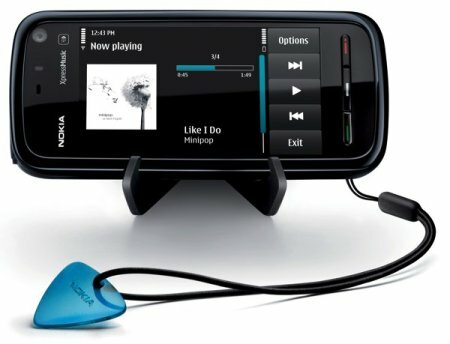 Folks living in the US who have long looked forward to the Nokia 5800 XpressMusic handset will be pleased to know that it has finally arrived Stateside after being released in other regions of the world earlier. This looks set to be a feature packed phone without breaking the bank, and potentially offers a high rate where bang for your buck is concerned. The 5800 XpressMusic allows you to tote around a stylish yet affordable music device that boasts a touch screen interface that will appeal to the mass market. More details on this seemingly invincible music phone right after the jump. 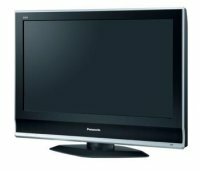 Panasonic has announced that it will offer a new line of DivX Certified HDTVs from Panasonic that are available in Europe (why not in other parts of the world? ), and they will consist of the Panasonic VIERA Z1, V10 and G15 series that boast cutting-edge 1080p full-HD flat panels to enable consumers to easily playback high-quality DivX video straight onto the television. I guess there is much more reason to get those terabyte-class external hard drives and storage solutions now, while keeping your computer on all night long to download full HD movies (just make sure these are legit copies and not bootlegs – we don’t condone piracy here at Coolest Gadgets) in DivX format for viewing later in the living room. I’m not really a fan of the Sony PS3, I’m more of a Wii guy. I guess I like the simplicity of the Wiimote compared to the button munching, finger cramping PS3 controller. 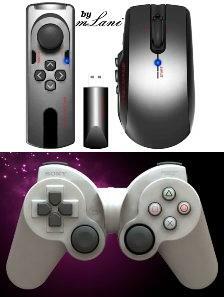 It appears that someone has developed some new controllers for the PS3 that are a little less burdensome on the digits. The first is the mLani Wireless FPS Controller. This is designed for those players who love PS3 games like Fallout3 and other First Person Shooter games, but would rather play them like they would on their PC. There is a mouse and what looks like a tiny joystick. The second is a concept called the DualShock Vortex. This is simply your average PS3 controller, with a twist. The twist is that hinge in the middle there. I’m not certain why, but someone designed the Dual Shock Vortex who the user can control it by twisting. I suppose this is for Hang On type games where the controls are like motorcycle handlebars. I’m not certain how this would come in handy for the aforementioned FPS games. This isn’t the first time that I have reported on the Pocket Album by Digital Foci, and I am glad the company gave me the opportunity to try out the Pocket Album Deluxe. The Pocket Album Deluxe has an OLED 2.8 inch screen, which brings out the beauty of digital photo files with a contrast level of 10,000 to 1. 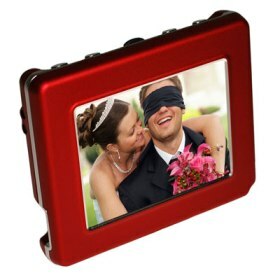 Downloading the pictures to the Pocket Album Deluxe was simple, as the frame comes with special software that the user needs no CD for. This program works right out of the box. All a user needs to do is simply plug in the Pocket Album Deluxe into his or her computer via USB to mini-USB cord, and the software program can be downloaded from there. I couldn’t find any way to get the pictures to the frame without downloading the program. This is different than most picture frames, which are often recognized by the computer as a thumb drive. We’ve reported on Personal Stress Relievers like the emWave before. Considering the stress levels some of us live at, I’m surprised there aren’t more products like it to help us keep our collective stress levels down. I got to chance to try out the emWave at CES, and I was surprised that it worked so well. 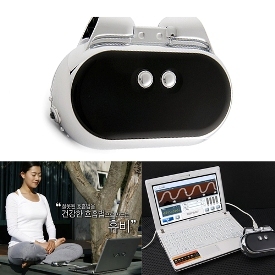 It would appear that someone has invented a personal stress reliever, or meditation device, that can connect directly to the user’s computer. The HIMS Brain HUBI biofeedback device can take a readout from your fingertips and then displays a graph that shows your state of mind. I’m guessing that the user is going to need to breathe or somehow relax to keep their numbers on healthy levels. It’s not uncommon to see designers pushing the barriers of design, to see what they can come up with. A lot of times it’s with luxurious items that even if they became available the general public, it wouldn’t benefit them. With this new design, it’s highly possible the general public won’t benefit, but you have to appreciate the designer looking out for those in zero gravity conditions. 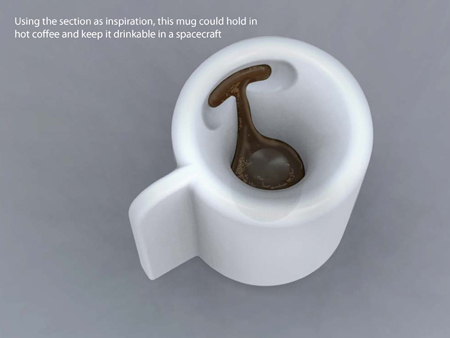 It’s pretty obvious that any liquid would be difficult to deal with in zero gravity, well with this mug astronauts could ditch the heated aluminum bags and straws and drink coffee like it was meant to be. For Christmas, my wife got our kids some of those Tamagotchis. Apparently, she always wanted one herself, and I am very surprised at how much fun my kids, who are ages 5 and 6, can have with these little toys. It appears that Takara Tomy has a new virtual pet with the Yuruppy. The Yuruppy is like a Tamagotchi, but it has a touchscreen, so the user can “pet” them. Hopefully the Yuruppy inside will have some sort of adorable reaction.